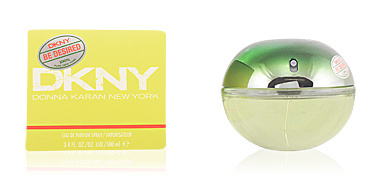 Be Delicious by DKNY is a fresh, irresistible and dynamic “Eau de Parfum”. 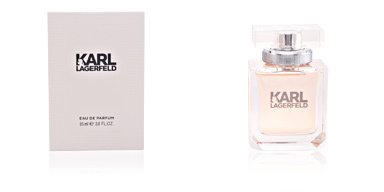 With the cosmopolitan New york city seal, this fragrance is inspired by the Big Apple. 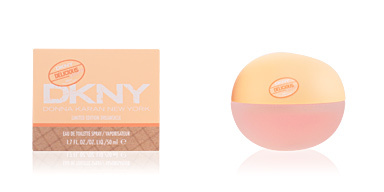 Its iconic packaging recreates the voluptuous and sensual shape of an Apple, the forbidden fruit of Eden which now makes its way to the big city. Its own style consists in an aromatic tandem of fruity notes from green apple, pomegranate and cucumber. After a few minutes this fragrance attunes with the skin and provides the irresistible and floral heart notes from magnolia, violets, roses and Lily of the Valley. The base is composed of a magnetic mix of amber and sandalwood, in fusion with its wood notes, adding a mysterious and slightly involving halo on the skin, which captivates the senses during the day. This feminine fragrance was created with the scent by Maurice Roucel in 2004, for the luxury firm Donna Karan New York. OVERWHELMING. A dynamic, fresh fragrance with notes as daring as cucumber in perfect harmony with violet and green apples. TWICE CHIC AND URBAN. In keeping up with the frenetic pace in the city, it is the freshness of this Eau de Parfum, which makes it captivating and “non-stop“ days proof. GIFT IDEA. Perfect for gifts, or indulgence. 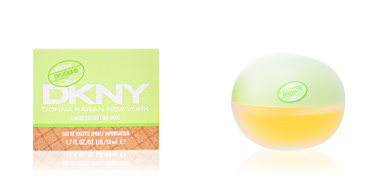 The “small apple” by DKNY, is an icon of perfumery and constantly evolving - as the city-, with new editions in every season. Available in different sizes and a therefore a perfect travel partner. 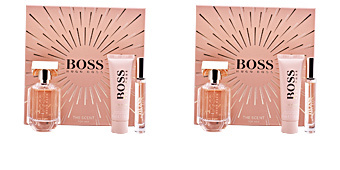 Top notes: Magnolia, cucumber and pomegranate. 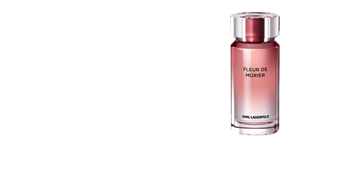 Middle notes: rose, violet, lily of the valley , green apple. 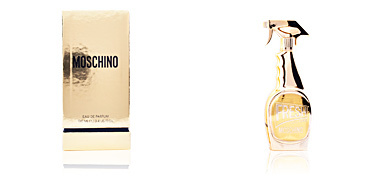 Base notes: Sandalwood, amber, wood. 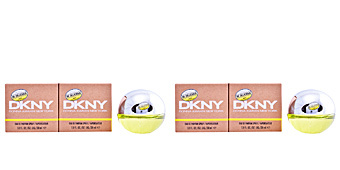 BE DELICIOUS by DKNY, is a fragrance with fresh and slightly floral notes. With its silhouette, it is intended for use during the Day, in Spring and summer.